If your looking for a fun and educational video to get for your children this year you should check out the new video from NCircle Entertainment. 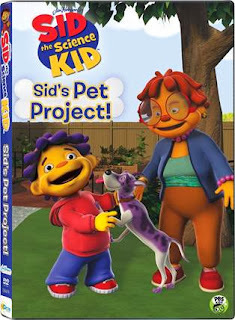 Sid is a fun and like able character who uses science in a fun and easy to understand way! My older boys aged 5 and 3 both Love Sid and learn a lot while watching his shows! In the new video Sid is trying to show his Mom and Dad that he is ready to have a dog of his own by baby siting Grandma's dog. He learns all about what's involved with pet care and maintenance and teaches your kids along the way. Find this great DVD at retailers near you and enter below to win a copy!